Ranjith Kumaran previously co-founded YouSendIt.com where he led products, raised money and acquired a couple of companies.He plans to do more of the same at PunchTab. Prior to YouSendIt, Kumaran held marketing positions at Verisity Design, a key provider of verification process automation (VPA) solutions, where he managed product marketing for the software tools of Axis Systems. Previously, he was the director of sales engineering at Celoxica, a leading provider of C-based design and behavioral synthesis solutions, where he built the company’s sales engineering team. Kumaran also was a software systems engineer at Red Hat, one of the largest and most recognized companies dedicated to open-source software and the largest distributor of the GNU/Linux operating system. Kumaran received a bachelor of engineering degree in computer engineering from McGill University and is an active member of TiE Silicon Valley. Kumaran is also a C100 charter member, an organization representing the top 100 accomplished Canadian entrepreneurs in Silicon Valley. 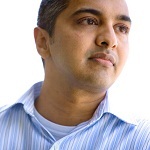 Chethan Ramachandran is the CEO and co-founder of Playnomics (www.playnomics.com). Playnomics' technology enables game publishers to predictively acquire and retain players. The company is backed by FirstMark Capital, Metamorphic Ventures, X/Seed Capital, Accelerator Ventures, and TriplePoint Capital. Prior to starting Playnomics, Chethan spent three years as a partner at a boutique investment fund where he structured, launched, and ran new technology joint ventures. Prior to that, he was part of the founding team and Director of Business Development of a venture backed startup focused on applying predictive analytics to information security. 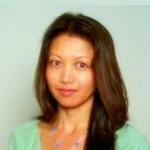 Chethan also has previous experience in technology investment banking and strategy consulting. Jonny Shaw has been 'working' in the world of play all his career. Having started off his career researching PlayStation brand across Europe, he then moved to BBH were he worked on the launch of Xbox in Europe. Whilst at BBH he realised how much he liked to sing in his play time, which led him to come up with the idea for Lucky Voice. Lucky Voice is now the leading brand in the burgeoning European karaoke market. Whilst researching for Lucky Voice he spent some time in Japan and remembered how much he liked playing there, so he moved to Tokyo and ran the planning departments at TBWA and BBH before starting the Japanese office of Naked. consulting with big brands such as Coke, Axe, Google and Nike and trying to get them to play more. brands better connect with their customers through the medium of play. 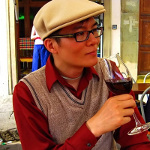 Michael Wu is the Principal Scientist of Analytics at Lithium Technologies Inc. Michael received his Ph.D. from UC Berkeley’s Biophysics graduate program, where he modeled visual processing within the human brain using math, physics, and machine learning. He is currently applying similar data-driven methodologies to investigate and understand the complex dynamics of the social web. Michael has developed the Facebook Engagement Index (FEI), Community Health Index (CHI) and many predictive social analytics with actionable insights. His R&D work at Lithium has won him the recognition as a 2010 Influential Leader by CRM Magazine. In addition to the purely empirical methods, Michael also leverages social principles that govern human behavior (from sociology and anthropology, to behavioral economics and psychology, etc.) to decipher the intricate human components of social interactions. Through this combined bottom-up and top-down approach, Michael has developed a sophisticated predictive model of influence and an evaluative framework for understanding gamification. To tackle challenging open problems (like the value of WOM, social ROI, or the loyalty implications of gamification, etc. ), Michael collaborates with academicians to conduct research on these unsolved problems. 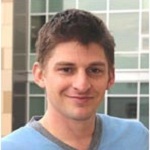 His research and insights has been compiled and published in “The Science of Social,” an e-book for business audience. Michael has been a DOE fellow during his graduate career and was awarded 4 years of full fellowship under the Computational Science Graduate Fellowship. During his fellowship tenure, he has served at the Los Alamos National Lab conducting research in face recognition. Prior to his Ph.D., Michael received his triple major undergraduate degree in Applied Math, Physics, and Molecular & Cell Biology from UC Berkeley. 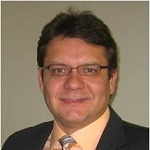 Brian Blau is a research director in Gartner's Consumer Technology and Markets group. He covers consumer technologies and markets as they relate to social media, mobile devices and technology, the connected consumer, and consumer applications and services. He also covers areas such as user interfaces, computer graphics, video games, and software and application development. 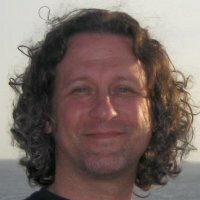 Mr. Blau has previously held diverse technical and leadership positions in the computer graphics and games industry. He has made significant contributions in the areas of technology-driven in-game advertising, developer-supported social networks, and visual simulation and animation tools. He also has extensive software development experience as a software development manager and developer advocate, as well as a startup founder and business manager. Mr. Blau was an early VRML pioneer and helped establish early network-based 3D tools and technologies. In addition, he has produced trade and technical conferences, including the Electronic Theater, and other major venues at the annual SIGGRAPH conferences. 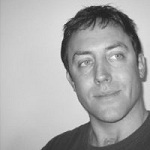 He also has judged art shows and film festivals, has been published, and likes to give industry talks. 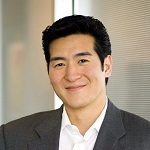 Tim Chang is a proven venture investor and experienced global executive. He was named on the 2011 Forbes Midas List of Top 100 Dealmakers, was featured by The Deal as one of five emerging VCs to watch and by the AlwaysON Hollywood IT List recognizing technology leaders in the digital entertainment industry. Tim invests in the mobile, gaming, digital media and enterprise applications sectors and co-leads Mayfield Fund’s investment practice in China. Suchit Dash is responsible for developing strategic partnerships with publishers, solution providers and other key players in the digital goods and social media industries. 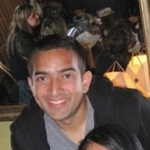 Suchit joined Ifeelgoods from PayPal where he was a product manager of PayPal Express Checkout. He was responsible for researching and developing best practices for PayPal by conducting multivariate testing, usability testing and analyzing web analytics through a variety of tools and vendors. 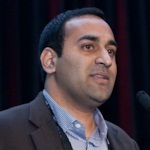 Suchit's work contributed to PayPal's focus on improving sales and conversion for its merchant partners. His research on web optimization led to dramatic improvements on the PayPal user experience, ultimately bringing incremental revenue to merchants across verticals. Kris is a thought leader of innovative ways to incorporate game mechanics and social loyalty programs into web and mobile experiences. Prior to founding Badgeville, Duggan worked in leadership roles at a variety of successful companies, including WebEx, and across a wide variety of verticals. Christopher Duskin is the Vice President of Product of Badgeville, The Behavior Platform. Duskin is a leading expert in web site testing, behavioral targeting, personalization and optimization. 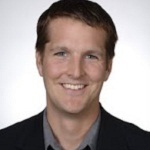 Prior to Badgeville, he was Director of Product Management at Adobe responsible for Adobe’s conversion optimization products, including Test&Target, Recommendations, Search&Promote, and Scene7. Chris arrived at Adobe through the acquisition of Omniture and earlier served as Director of Product Marketing at Offermatica. Prior to Offermatica, Chris spent several years at Fort Point Partners helping design and deliver ecommerce solutions for Global 1000 companies including Martha Stewart Omnimedia, Estee Lauder, Joann’s, and Kmart. I've worked as a business reporter and an editor since 1994, with the last eight years focused on venture capital and private equity industries. I began my stint as a paid journalist in 1988 when I covered city hall for a community newspaper in Southern California. In addition to business reporting, I have written news and features on high school sports, real estate, environmental issues and city government for several community publications throughout California. For the business journal chain, I wrapped my arms around several beats, including banking & finance, the business of sports, retail, ecommerce, marketing & media and technology. At Thomson Reuters, I focus on the venture capital industry, covering fundraising, startups and entrepreneurs. 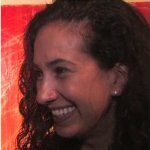 I contribute to peHUB.com, Venture Capital Journal and Reuters.com. I became acting Editor-in-Charge of VCJ in January 2011 and officially named editor in March 2012. In addition to putting out the monthly magazine VCJ and maintaining the website, I'm currently focused on several projects, including our conferences. First up in 2012 is our PartnerConnect 2012 conference in New York in early April (http://www.partnerconnectevents.com/), and then we'll return to San Francisco in October 2012 for our second annual VC conference. Business journalism pro, especially when it comes to venture capital and tech. Experienced reporter and editor, skilled at managing multiple freelance photographers and writers at a time. Growing interest in social media as a means to communicate and interact with readers and sources. Nathon Gunn co-founded world-renowned multimedia studio Bitcasters, helped start Citytv & MuchMusic Interactive and co-wrote the business plan for Miramax New Media. Some of his innovations include: the 1994 backstage Grammys Webcast, the first e-CDs (for BMG), helping to launch the first major-label secure digital music format (for Universal) and the invention of one of the earliest user-generated content initiatives, Bitcast.com. Nathon began programming at a young age, earned a degree in computer animation and film from Ryerson University and has won awards for various commercial and artistic endeavors such as short films and major-label music videos. He has spoken widely at venues such as Harvard, the BBC Labs, Toronto International Film Festival and the Banff Centre. He is politically and socially active, having helped create groundbreaking technology to facilitate artist empowerment and social activism. Nathon has produced, designed and programmed games played over 500-million times for clients like Disney, Cartoon Network and Family Channel. Nathon is a founding Board member of Serious Games Canada and his philanthropic history game won a MacArthur Foundation award. Nathon is a fellow at Queen’s University’s Centre for the Study of Democracy and a Director of the Ontario Media Development Corporation. Nathon's guiding passions have been innovation, games, film and the enabling power of the Internet for social interaction. He's made over 25 games since the first one he created in 1986 on the family Commodore 64 while living in India. 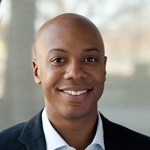 Charles Hudson is a Venture Partner with SoftTech VC, one of the most active seed stage investors in Web 2.0 startups. He is focusing on mobile and gaming investments, and supporting SoftTech portfolio companies on business/corporate development matters. 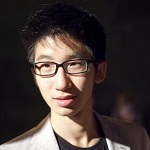 He is also the Co-Founder and CEO of Bionic Panda Games, a mobile games startup based in San Francisco, CA. Nathan Lands is a serial gaming entpreneurer. He began his journey as an entrepreneur at the age of 15 in Alabama when he began making money from playing games and has been creating companies ever since. Nathan is crazy passionate about having an impact on the world and has always believed life should be more fun like a game. That idea started as a child when he wondered why you couldn't level up in real life and that dream led to the inception of Gamify. Nathan is a gamer and has been fortunate to become friends with most of the top game designers and executives in gaming and also had a major booth at E3 with his last company,GameStreamer. During his early 20's he traveled Asia and studied Mandarin Chinese in Taiwan. Lars Leckie is a Partner at Hummer Winblad and has played a key role in the firm’s investments in SaaS, virtualization, cloud and mobile technologies. Prior to joining Hummer Winblad Venture Partners in 2006, Lars was involved in founding and operational roles at start-up companies. He was a co-founder of AutoFarm (now Novariant), a company focused on GPS and robotics. Lars was in charge of strategy, product marketing, business development and building the sales team across three continents. While Lars spends less time programming now, he started his technical career coding and hacking computer games. He is the holder of several US patents. Lars is an avid sailor and a former member of the Canadian Sailing Team. He represented Canada sailing Snipes in the Pan American Games as well as other international events. 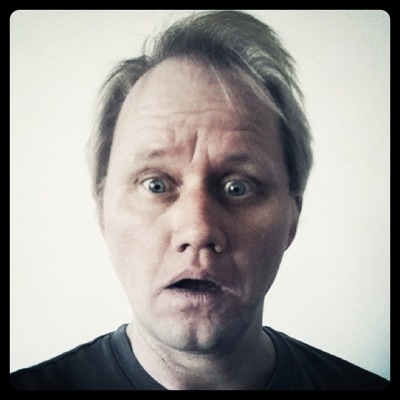 Lars has a Masters of Science (Engineering) from Stanford University and an M.B.A. from the Stanford Graduate School of business. He also holds an Engineering Physics degree from Queen’s University (with Honors). Lars sits on the board of the SIIA (Software Information Industry Association) and is a founding charter member of the C100 (Canadians in the Silicon Valley). Lars currently sits on the board of Kiip, and Piston. He has played a key role in the firm’s investments in Aria Systems (SaaS billing and customer management), Karmasphere (Big Data Analytics) and NuoDB (Scalable SQL database). Mara Lewis is the co-founder and CEO of stopped.at - a gamified sharing platform that lets users 'check in' to websites, earn points, and unlock deals from online locations. Previously, Mara was the co-founder and CEO of SpeedFeed Live, the first 'roulette-style' video chat network on Facebook that allowed users to meet new people based on shared likes and interests. Mara specializes in referral-based marketing, loyalty reward programs, and social interaction development. She has directed the social media efforts behind brands like Mattel, Aveeno, Eddie Bauer, Bebe and Comcast, and is recognized for building some of the first viral marketing campaigns on Facebook. Ken Lynch is founder and CEO of Reciprocity (reciprocitynow.com), an enterprise gamification startup, focused on team performance and customer/employee feedback. Ken is a reputation currency architect, inventing the future of enterprise social dynamics. 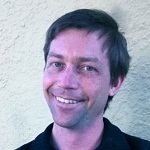 He's responsible for communicating Reciprocity's vision of a gamified hero's journey. His passion is engaging teams. Between start-up experiences, Ken enjoys taking long sabbaticals, including Himalayan paragliding and cross-ocean sailing. 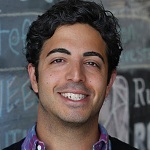 Ari Mir brings over 10 years of entrepreneurial product leadership experience to Pocket Change. 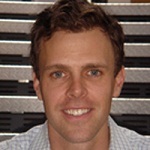 He is best known for co-founding GumGum.com, the world’s largest In-image Ad-network, reaching 100M+ unique visitors per month. Ari also cofounded MoJungle which was acquired in ’07. He has held senior product roles at BizRate/ShopZilla and LowerMyBills. He is an LA native. Rajat Paharia founded Bunchball in 2005. Rajat’s skill set combines a unique understanding of technology and design that stems from a four-year career at design firm IDEO where he was co-director of the Software Experiences Practice. While at IDEO, he worked with clients including AT&T Wireless, Avaya, Microsoft, McDonald’s, HP and Philips. 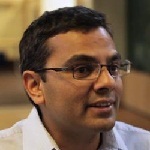 Previously, Rajat worked in various roles at Philips Consumer Electronics, IBM Research and ViewStar. 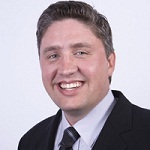 Evan Paul was just fifteen years old when he founded eGamePlace, LLC in 2004, and managed the company as its Chief Executive Officer bringing the business to a successful point of sale. A dedicated gaming enthusiast for fifteen years, Evan has a comprehensive understanding of the gaming industry. Glueper Corporation is Evan's fourth company, as he previously founded other companies with other members of the management team. Evan has been covered in over one hundred major media publications focusing on his entrepreneurship and success. 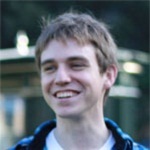 Tim Roberts is responsible for the Fitbit digital experience, including the website, mobile applications, and APIs. Tim has spent the past 16 years crafting technology products. He was the founder and CEO of Infectious, a crowd-sourced, print-on-demand platform, and has been a founder or executive of such projects as Twitter/Odeo and Bigstep. He has also made some good looking products at places such as Yahoo!, Netscape, Organic Online, T/Maker, and Lotus. Tim has a BA from Vassar College. When not sedentary in front of a computer, he loves taking his Fitbit out for long runs on the hilly trails around the Bay Area. The Fitbit likes that. 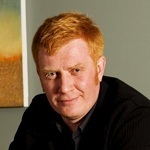 Niel Robertson is founder and CEO of Trada, the world’s first crowdsourced paid search marketplace. Trada’s community of more than 1,000 paid search experts are paid on their performance while running PPC campaigns on Google, Yahoo and Bing on behalf of advertisers. Niel is also founder of the Crowdsortium, a nonprofit trade organization designed to advance the crowdsourcing industry through best practices, education, data collection and public dialog. A serial entrepreneur, Niel is formerly founder and CTO of Newmerix, a software company specializing in testing and change management tools for packaged applications; co-founder and CTO of Service Metrics, a web site performance monitoring company; a CTO in residence at Mobius Venture Capital and a venture partner with Fidelity Ventures in Boston. Niel is also a regular speaker at conferences on the topics of entrepreneurship, crowdsourcing and digital advertising, sits on a number of technology company boards, serves as a mentor for the TechStars investment program and has broadly invested in technology startups as an angel financier. Previously, Niel has spoken at LAUNCH, Creative Company Conference, SMX, SES, This Week in Startups, Defrag, the Crowdsortium Symposium, Metrics Marketing Bootcamp and TedX Boulder. Niel holds a B.S. in Computer Science from M.I.T. Michael Smalls is the founder and CEO of Hoopla Software. 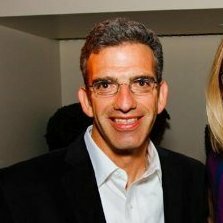 Prior to starting Hoopla, Mike was a key executive at several startups including TurnTide (sold to Symantec) and Kurant (sold to eBay). 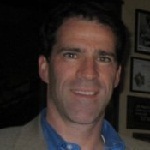 Mike has 2 decades experience building and running organizations for large and small companies and is passionate about helping companies drive more revenue by tapping into the natural motivation of employees. Keith Smith, Co-Founder & CEO of BigDoor. Prior to starting BigDoor, Smith founded the company that became Zango and served as its CEO for ten years. Smith grew Zango from a startup to a multi-national company employing over 300 people in four countries. The company grew to $78 million in annual revenue and $24 million in EBITDA and ranked number seven on the Inc 500. Zango was ranked among the Best Places to Work in Seattle for several years running. A veteran entrepreneur, Smith started and bootstrapped two other tech companies prior to 1999. Smith left Northwest College three weeks before graduating to start his first business, and has taken each professional iteration as an opportunity to learn and adjust to valuable challenges — both in success and failure. Smith is actively involved in youth based charities and has previously sat on the board of directors for the Washington Technology Industry Association. Victor White is senior marketing manager at Gigya where he develops and executes strategies relating to branding, corporate positioning, sales enablement, media/analyst relations and market research. Victor joined Gigya from PayPal, where he helped the Merchant Services and Platform teams build and implement customer and media-facing communications strategies. Brian Wong is the founder of kiip (pronounced "keep"), a stealth startup focused on mobile in-game advertising, backed by True Ventures. Very recently, Techcrunch and the Wall Street Journal called him the "youngest person to ever receive funding by a venture capital firm". Last year, at only 18-years-old, he was an early Bachelors of Commerce graduate from the University of British Columbia, after skipping four grades in elementary and high school. Brian speaks around the world advocating youth entrepreneurship, while focusing on topics like youth targeted marketing, mobile marketing, and mobile gaming with social game dynamics. He has spent much of his time in Asia and Latin America working closely with young entrepreneurs and high-growth tech startups. He was recently lauded in Mashable as one of "The Top 5 Young Entrepreneurs to Watch", and the Vancouver Sun called him "a budding internet visionary". He was also recently a recipient of the Top 20 Under 20 awards in all of Canada, and the Impact Young Entrepreneur of the Year award. He is also the youngest charter member of the C100, an invitation only Silicon Valley based organization of top Canadian entrepreneurs, executives, and venture capitalists. 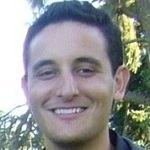 Before starting kiip, Brian was responsible for key publisher and tech partnerships at the social news website Digg.com. 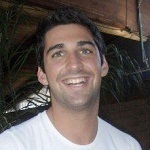 He also launched the Digg Android mobile app, adding to the company's rising mobile presence. 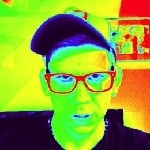 He began his career after University by creating the world's first categorized Twitter discovery tool: Followformation.com. Followformation was touted as one of the best Twitter user discovery tools in Mashable, The Huffington Post, Fast Company, and more. Per Håkansson is a guest lecturer on emerging consumer technologies, mobile applications and data-driven entrepreneurship for companies and individuals across the world. 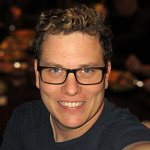 He also advice startups on product management and growth strategies leveraging his 15+ years experience from global Internet successes as Icon Medialab, Yahoo!, Blurb, CareerTV and Springboardr.com. He is currently working on a series of master classes for tech entrepreneurs and writing a book on how to successfully work, live and play in the new always-on mobile world. Per resides in San Francisco with his family where he cooks and plays tennis when not traveling the world. Bambi Francisco Roizen is founder and CEO of Vator, one of the largest business networks dedicated to high-tech entrepreneurs, and VatorNews, which provides news and information on innovation and entrepreneurship. Prior to Vator, Bambi was an award-winning journalist at Dow Jones MarketWatch where she was the lead columnist/correspondent focusing on Internet trends and investments, appearing online and on TV. She was a morning business anchor for KPIX, the CBS affiliate in San Francisco and made frequent appearances as an expert on technology on CNBC, Fox Business News, and CBS. Vist http://vator.tv/events for all the Vator events.